Arts & Crafts recently celebrated the fifth edition of Field Trip in downtown Toronto, and now the label is looking to bring some live music out into the Ontario countryside later this summer. It's revealed plans for an upcoming concert series in Prince Edward County, featuring some notable names in Canadian indie rock. 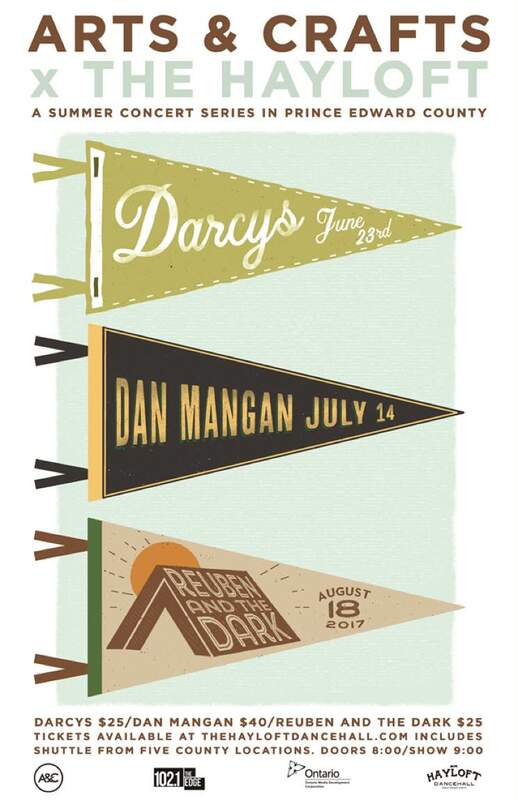 Darcys will kick the series off on June 23, followed by a performance by Dan Mangan on July 14. Reuben and the Dark will close off the series with a show on August 18. Each of the shows will take place at the long-running Hayloft Dancehall. Tickets range from $25 to $40, and shuttles to the venue will run from five locations across the county. Find full details and purchase tickets at the Hayloft Dancehall's website.